Thoroughly wash the Cantaloupe. Cut into sections. Remove the seeds and rind. Place into the blender. Add the peeled Banana and the Pitted Dates. If the fruit is warm, we suggest adding 1or 2 cups of ice. 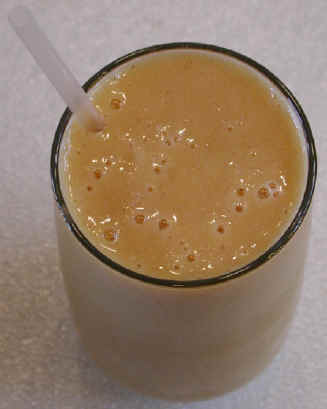 Cover the blender and run at "high" until the Dates are thoroughly blended into the Smoothie (about 1-minute). Serve in a tall glass with a straw, and enjoy. A Fruit Smoothie also makes a great breakfast.